An Imperial Shadow Trooper takes center stage with this Star Wars Elite Collection statue! 1:10 scale statue stands approximately 7 1/2-inches tall! Bring home a Shadow Trooper! Attakus France presents a series so incredible, it's elite! 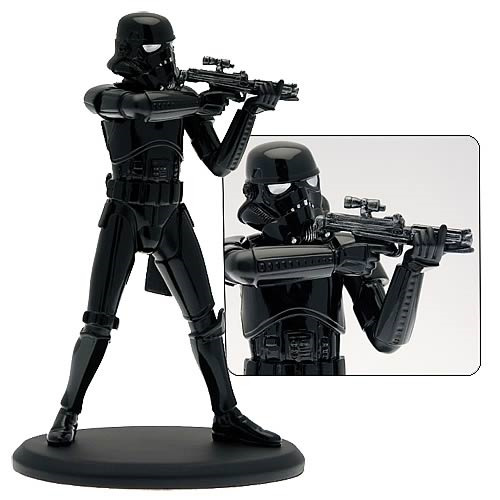 This Star Wars Elite Collection Shadow Trooper Statue spotlights a covert foot soldier of the Empire in an action pose, weapon ready to fire. The 1:10 scale sculpture measures about 7 1/2-inches tall and is limited to 2,500 pieces.